This review of the album was published in the Scotsman on the 12/2/2012. 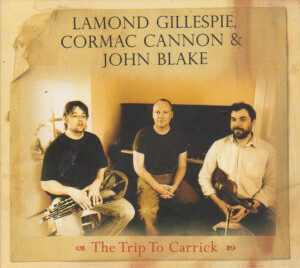 Hard to find, indeed rare of this quality, this is a modest yet powerful gem of instrumental prowess, uniting a fiddler, piper and piano player in their shared love of the “old style” of traditional Irish music-making. Taking their model from the early 20th-century recordings, the monumental solidity of the phrasing with the intricate, expressive interwoven decoration of rolls, cuts and crans is a huge delight over the 15 tracks, recorded “live” over three weekends in a Donegal cottage. Each set of reels, jigs, hornpipes, laments or waltzes is accompanied by well-informed notes.